Submitted by Ajaye Bloomstone and Trina Holloway, Co-chairs. Ajaye Bloomstone and Trina Holloway Co-Chair the PDC; Trina will continue for a second year and Ajaye will rotate off as Co-Chair. The Committee continued with its three Subcommittees, each with a Subcommittee Chair, to investigate, plan, and ultimately present TS-related opportunities in the following formats: eForums (see report below), chaired by Gypsy Moody, Webinars (see report below) chaired by Christina Tarr, and Annual Program (see report below) chaired by Caitlyn Lam. Each Subcommittee’s membership was composed of TS members who had volunteered to serve in addition to TS Standing Committee Chairs (or their designate). Conference calls between the Co-Chairs and Subcommittee Chairs were held a few times over the year, and all of us were in constant contact via email. Submitted by Gypsy Moody, Subcommittee Chair. The E-Forums Subcommittee assisted with three projects this year, a survey in August, an online discussion in September and more e-voting in March. Throughout the year, I have posted about several outside educational opportunities on My Communities, but I haven’t received any responses from those posts. While Cat & Class was having internal discussions about the reorganization of TS-SIS advisory working groups, I was contacted because they were considering an e-forum or conference calls. I did some research on conference calls and online polling. In the end, I was tasked with setting up a survey. I created a survey using my access to Qualtrics. I sent the mock-up to Keiko Okuhara, who approved the platforms use and sent me survey edits. After I updated the survey, I sent the final link to Keiko for distribution and reported the results when concluded. I believe this process went well and produced the desired data. Below are the contents of the survey. Thank you very much for those of you participated in the one week discussion on the reorganization of the TS-SIS Advisory Working Groups. Now we are in the voting period, 8/7-8/14. Please cast your vote to get to the next discussion if the reorganization would happen. Would you support the current structure of the three TS-SIS Advisory Working Groups? A suggestion was made to retain the Vendor-Supplied Records Advisory Working Group. Would you agree with that suggestion? After the annual business meeting, the TS Chair, Lauren Seney, wanted to give TS members more time to discuss the Committee on Standing Committees Report. By email we worked out a plan to have three online discussions on My Communities during the month of September. First Question: What is still relevant and what should be updated? Second Question: Should the Standing Committees function as discussion forums or should there be desired work product? Third Question: How often should a membership call for working groups go out? Fourth Question: Are there any standing committees that should be sun-setted, suspended, or merged? Are there any standing committees that would function better as an administrative committees? On this day there were 17 different participants and 39 posts. First Question: Should membership to the standing committees be open, so that any member of AALL can join at any point in time? Second Question: How should the standing committees be promoted? Should calls for membership go out annually or more frequently? Third Question: How should discussions that fall outside of a standing committee, or that would involve multiple committees, be addressed? Would “interest groups” with open discussion forums that can be advertised broadly be a solution to this? Would an interest group only be for a short term discussion? On this day there were 7 different participants and 15 posts. September 27: Administrative Committees, Standing Committees, & Roundtables: What do we need? First Question: What purpose do the Standing Committees really serve? Is the work really only done by working groups? Second Question: Do members view the Standing Committees as mostly a discussion forum/extension of roundtables from annual meeting? Would the Standing Committees benefit from the suggestion of using the main listserv for all conversations (with standards for how topics are identified)? Third Question: The current voting members of the TS-SIS Executive Board are the elected members and the Standing Committee Chairs. If committees are merged or sun-setted, who serves on the Executive Board? Fourth Question: How should new TS librarians be mentored? Should there be a buddy system? On this day there were 5 different participants and 9 posts. This effort did not produce the amount of discussion I expected. I agree with the Executive Board’s consensus that the membership had subject fatigue with the online discussions. Looking back, I also wonder if only one question should be presented at a time. As an aside, I found myself in a quandary with the e-forum. I was a member of the committee that created the report and also the moderator. I wasn’t sure what (if anything) I should comment on. Since it felt weird, I didn’t say anything outside the official questions Lauren approved. I think it could be valuable to have some type of protocol about how much the moderator should interact with the subject matter during an e-forum. After the decision was made to go forward with the reorganization of the standing committees and a name change was suggested, I volunteered to create surveys for e-voting on the new committee names. I followed basically the same procedure as I did for Cat & Class in August. I mocked-up two distinct surveys one for Cat & Class and one for Acquisitions, Serials and Preservation. After a few minor revisions I sent the final links to all of the standing committee chairs. Both of those surveys ran for one week each. Here are the e-voting results I reported. Cat & Class received 14 total responses with the top choice as Metadata Management. Acquisitions, Serials and Preservation received 20 total responses, that top choice was Resource Management. I believe using surveys for e-voting worked very well. Submitted by Christina Tarr, Subcommittee Chair. Given the success of this webinar, and the fact that many libraries have subscriptions to ZOOM, we can consider using this platform whenever the Association’s webinar service is unwilling to support a webinar that we think our membership would be interested in. Submitted by Caitlyn Lam, Subcommittee Chair. We worked with other PDC members to review and provide feedback for each proposal. All three proposals were submitted to the TS-SIS Board for consideration. Committee members voted to recommend Karen Selden’s proposal, Data Mining for Meaning: The Law and Corpus Linguistics Project, and Ajaye Bloomstone’s proposal, FCIL Basics for Metadata Professionals: Collaborating to Ensure Access to Foreign and International Legal Materials, for TS-SIS sponsorship. The Board accepted the Committee’s recommendation and selected both proposals as TS sponsored programs for the 2018 AALL Annual Meeting. The Annual Program Subcommittee began soliciting hot topic ideas from the TS membership in November of 2017. The Subcommittee conducted a conference call on March 22 to discuss submitted ideas and concluded by narrowing submissions down to two recommended hot topic options. A draft of the recommendations was discussed with the PDC chairs and recommendations were submitted to the Board for this year’s hot topic program and potential VIP guest. Based on these recommendations, the Board invited Kathy Glennan, chair-elect of the RDA Steering Committee, as the TS special VIP guest and hot topic speaker on the RDA Toolkit Restructure and Redesign (3R) Project. In addition, the Subcommittee invited Jesse Lambertson, Head of Cataloging and Metadata from Georgetown Law Library, to chair this year’s Cataloging Roundtable at the TS-SIS Roundtables meeting on Tuesday, July 17. The Subcommittee will send out notification to the TS-SIS membership leading up to the Annual Meeting time, announcing the hot topic program and identifying programs and committee roundtable meeting topics of interest. During the Committee’s second year, we reviewed and redeveloped an organizational structure, came up with a variety of continuing educational opportunities, and presented them to TS-SIS members. Chris Tarr and Ajaye Bloomstone continued to Co-Chair the PDC; Ajaye will continue for the third year and Chris will rotate off as Co-Chair, replaced by Trina Holloway for 2017-2018. The TS-SIS Executive Board opted for this retention schedule so that one Co-Chair will be able to retain institutional history and the other Co-Chair position will open to an interested TS-SIS member. It was decided that these two and three years terms would be beneficial, at least at the onset of the Committee’s existence, to get the Committee established, organized, populated, and productive. The Committee continued with its three Subcommittees, each with a Subcommittee Chair, to investigate, plan, and ultimately present TS-related opportunities in the following formats: eForums (see report below), chaired again by Suzanne Graham, Webinars (see report below) chaired by Hollie White, and Annual Program (see report below) chaired by Jackie Magagnosc. Each Subcommittee’s membership was composed of TS members who had volunteered to serve in addition to TS standing Committee Chairs (or their designates). Conference calls between the Co-Chairs and Subcommittee Chairs were held a few times over the year, and all of us were in constant contact via email. The Committee’s second year offered a number of CE opportunities to the membership; see below for the year’s accomplishments of each Subcommittee. Ajaye Bloomstone, who also serves as the ALA ALCTS Liaison to AALL, was granted permission during the first year of the PDC’s existence by the TS Board to contact the ALA ALCTS Chair and Board with a proposal to promote AALL TS educational opportunities to the ALCTS membership and to promote ALCTS professional development offerings to TS members. Throughout this past year, our Professional Development Committee eForums Subcommittee has kept the TS membership informed of ALCTS’ continuing education opportunities (there may or may not be a charge depending on if one is an ALCTS member). Norm Medeiros, Chair of ALCTS, and Keri Cascio of the ALCTS Board both welcomed the idea of posting AALL TS-SIS PDC continuing educational opportunities on ALCTSCentral, though we’ve not yet taken advantage of it. They also suggested that in the future our committees might work together to present a joint CE offering! A push by the Committee resulted in getting a number of TS members on AMPC, which we hoped would result in a better understanding by AMPC of the programming we need. The fact that programs are not actually submitted by the TS Education Committee to AMPC, but rather by individual members, has made it difficult for the Committee to keep abreast of TS-oriented programs proposed for the annual meeting. 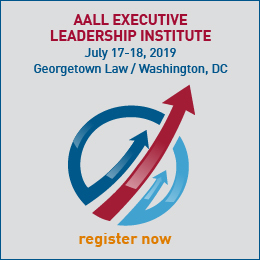 As it turns out, however, several programs will be offered at AALL annual of particular interest to TS members, and a TS-sponsored workshop “Not Pie In the Sky” has surpassed registration estimates even before the early-bird registration period ends for the 2017 annual conference. Instrumental in the workshop’s popularity was the fact that we worked early to be able to hold it off-site at the University of Texas, Austin — this made the cost affordable. E-Forums experimented with re-creating the live conference experience for our members who cannot attend Annual Meeting. The Subcommittee hosted two online discussions of conference programs of interest to TS members during the fall. Attendees were invited to watch recordings of the sessions in advance and come prepared to participate in broader discussion and ask questions of speakers. Both sessions had good conversations and the technology (freeconferencecall.com) worked well. September 23 featured Crowdsourcing a Skill Set to Manage the Legal Information of the Future. A dozen participants, along with speakers Melissa Beck, Mark Giangrande, and Wendy Moore, engaged in a lively discussion of what we need as information professionals. We shared ideas on the importance of maintaining enthusiasm and professional curiosity throughout our careers. We talked about Sara’s recipe for finding initiative, and we considered the craft of pitching your value with some great slides by Wendy. Mark and Melissa discussed the value of good organizational communication and the importance interpersonal skills and high emotional intelligence. Friday, October 21 featured Are People Even Using This Database? : E-Resources and Statistics. Three of the original speakers (Anna Lawless-Collins, Jacob Sayward, and Dan Rosati participated to recap and answer questions. Discussion was very good and covered COUNTER statistics from both a library’s and a vendor’s perspective. Laurel Moran intermittently posted notices of educational opportunities of interest to the TS community on behalf of the committee. The webinar subcommittee was quiet this year –we lost our chair halfway through the year. We hope to be more active next year. One thing we did do is to decide to rely on the AALL webinar platform, as it seems unnecessarily complicated to implement our own and we’ve so far had good luck getting all our proposed webinars accepted. The Technical Services SIS Education for Annual Meeting Committee met via conference call September 16 and 23 and conducted the balance of our discussion via e-mail. We mined the “must have” and “Data & Content Management” submissions in AALL’s IdeaScale implementation, contacted the individuals who submitted ideas, and tried to ensure that programs were submitted based in the topic suggestions in IdeaScale. The committee used Google Drive to share program submissions and comments.TS-SIS members were invited to share the program proposals with the committee for feedback. Twelve program submissions were shared with the committee. Two programs, From authorities control to identities management and FCIL basics for catalogers were recommended to the TS-SIS Executive Board for sponsorship. The following programs of interest to TS-SIS members were approved for Annual Meeting 2017. Those reviewed by the TS-SIS Education for Annual Meeting Committee are indicated by a *. The Committee’s first year was productive. We developed an organizational structure, came up with a variety of continuing educational opportunities, and presented them to TS-SIS members. Chris Tarr and Ajaye Bloomstone were asked to Co-Chair the PDC and will continue for the second year with one of us rotating out for the Committee’s third year. The TS-SIS Executive Board opted for this retention schedule so that one Co-Chair will be able to retain institutional history and the other Co-Chair position will open to an interested TS-SIS member. It was decided that these two and three years terms would be beneficial, at least at the onset of the Committee’s existence, to get the Committee established, organized, populated, and productive. PDC Co-Chairs were responsible for setting up three Subcommittees, each with a Subcommittee Chair, to investigate, plan, and ultimately present TS-related opportunities in the following formats: eForums (see report below), chaired by Suzanne Graham, Webinars (see report below) chaired by Wilhelmina Randke, and Annual Program (see report below) chaired by Jennifer Noga. Each Subcommittee’s membership was composed of TS members who had volunteered to serve in addition to TS standing Committee Chairs (or their designates) on the Subcommittee rosters as ex-officio members. Conference calls between the Co-Chairs and Subcommittee Chairs were held several times over the year, and all of us were in constant contact via email. The Committee’s first year was not without expected growing pains, but we managed to offer a number of CE opportunities to the membership; see below for the first-year accomplishments of each Subcommittee. Highlights include a spring webinar that was very well-attended, the acceptance of 2 programs and 2 workshops by AMPC, and a very active and growing use of eForums, especially by the New Catalogers Roundtable and the Acquisitions Committee. Going into the second year, the PDC has reviewed Committee and Subcommittee membership, and we would like to restructure slightly. We plan to go forward continuing with two Co-Chairs, three Subcommittee Chairs, and three at large members. Within this revised structure, all members of the PDC will work in concert, although each educational initiative will be “chaired” by the Subcommittee responsible for the particular format for the continuing educational opportunity in development. We hope that fewer members will facilitate better ease in working together. Ajaye Bloomstone, who also serves as the ALA ALCTS Liaison to AALL, was granted permission by the TS Board to contact the ALA ALCTS Chair and Board with a proposal to promote AALL TS educational opportunities to the ALCTS membership. Throughout this past year, our Professional Development Committee eForums Subcommittee has kept the TS membership informed of ALCTS’ continuing education opportunities (there may or may not be a charge depending on if one is an ALCTS member). Norm Medeiros, Chair of ALCTS, and Keri Cascio of the ALCTS Board both welcomed the idea of posting AALL TS-SIS PDC continuing educational opportunities on ALCTSCentral. They also suggested that in the future our committees might work together to present a joint CE offering! A fall push by the committee also resulted in getting a lot of TS members on AMPC, which we hope will result in a better understanding by AMPC of the programming we need. The fact that programs are not actually submitted by the TS Education Committee to AMPC, but rather by individual members, has made it hard for us to keep track of the registrants for workshops. Low enrollment caused the cancellation of one rather suddenly. Had we realized that enrollment was low, we might have been able to make a push for more attendees. This is something to be aware of in future. EForums Working Group had three main goals this year: (1) to provide technology support for our roundtable and committee chairs to encourage more year-round meetings, (2) to coordinate and facilitate professional conversations on hot topics, and (3) to promote free (or low fee) online professional education opportunities from all sources to our membership. Suzanne Graham assisted Diana Jacque in the hosting of two online meetings of the Acquisitions Committee, and she coordinated the first two meetings of the New Catalogers Roundtable. Both groups continue to hold regular meetings online without our support. Next year, the committee should reach out more directly to the Preservation, Cataloging, and Serials Committees. With Alan Keely’s assistance, the committee offered an eForum on EDS through MyCommunities in November (with Jeffrey Gabel). Twelve participants signed up for the week-long conversation, but we generated very few postings. We also offered online meeting debriefing space in Google Hangouts following the PDA/DDA webinar in August and Lawmageddon program in October. These spaces allowed our members to discuss their main take-aways from the sessions and process how they might playout at their library. Both of these initiatives are worthwhile and high-impact for members that engage. We should continue to try different topics and platforms for our eForums. Laurel Moran has done an outstanding job compiling timely alerts of upcoming professional development programs of interest to our membership. She posted messages (at least bimonthly) highlighting about seven opportunities in each. The AALL February 2016 webinar was on “What You Need to Know About 21st Century Cataloging Standards”, covering RDA, Bibframe, and Linked Data. Goals which weren’t done were to put together a listing of recorded presentations or webinars relevant to law library technical services, and to note upcoming webinars relevant to law library technical services and promote those to membership. These could be done for future. Technologically, webinar software was an issue. 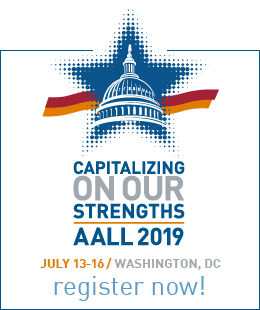 AALL provides software, an archive of video recordings, and some advertising for the official AALL webinar series. Those are free of charge to AALL members who are logged into aall.net. But, there is a per webinar fee for non-AALL members, and recordings cannot be posted elsewhere. This potentially limits reach. I think that long term, software for webinars is available through two good widely available options. Blackboard released Collaborate Ultra, which is widely available to academic librarians. Collaborate Ultra allows participants to join without installing any software on their computers. Another option is available to anyone. That is freescreensharing.com, which requires participants to install software, but then works fine. I think that this should be continued for next years, with more of a focus on promoting webinars or recordings by other groups to membership. A good goal for next year would be for TS-SIS to submit and present one official AALL webinar, and also for TS-SIS to post on the membership forum about once a month about a recently posted recording of a webinar or presentation relevant to members. The primary purpose of this subcommittee being to foster needed educational programming for the annual conference, the subcommittee focused its efforts on: 1) gathering feedback from members about recommended programming and 2) coordinating submission of programming ideas by members. In August of 2015 the subcommittee sent out programming ideas that were suggested in the larger Professional Development meeting held in Philadelphia to the larger TS-SIS community as a starting point for developing programming for the 2016 conference. The subcommittee later promoted the AALL IdeaScale website for collection of program proposals that was launched in September. Numerous messages were sent to the TS community advocating for members to submit their ideas with reminders about the site and programming ideas. Once the submission deadline passed, similar advocacy efforts were made to encourage TS members to vote on proposals submitted by other members and those of interest to the section. Ultimately, three of the top five vote-getters on the AALL site were programs that were highly relevant to TS-SIS educational needs. The subcommittee also helped to coordinate the TS Hot Topic Program for the 2016 AALL Conference. Coordinating with the Co-Chairs of the Professional Development Committee and with input from other members, a session was organized with several, informal roundtable discussions about various TS content areas. The tables are organized loosely around Standing Committee topics, and each table has a facilitator and a list of questions to get the conversation started. 2015-2016 was the inaugural year for this subcommittee in its current incarnation. With the exception of the chair, the subcommittee is populated by chairs of other standing committees. In truth, it was challenging to coordinate the activities of this subcommittee with so many members, especially when those members have demanding responsibilities with their own committees. The Chair recommends that the makeup of the subcommittee be reevaluated with an aim to reduce the number of members with emphasis on close communication with the standing committee chairs as a way of informing the work of the subcommittee. 2014-2015 Members: Ajaye Bloomstone, Ian Kipnes, Pat Sayre McCoy, Stephanie Schmitt (chair), Christine Tarr. New Professional Development Committee Charge: Throughout 2014-2015, the TS-SIS Professional Development Committee worked with the TS-SIS Board to revitalize the committee charge and structure. Beginning with the 2015-2016 appointment year, the new Professional Development Committee is designed to be an integral part of the educational work of the TS-SIS. AALL Bloomberg CPE Grant: The Professional Development Committee applied for and received an AALL Bloomberg CPE Grant funding for a webinar. Employers recruit librarians and staff based on hard and technological skills. However, “soft skills,” those personal attributes which drive our interactions on the job, are prized as key indicators for professional success and organizational effectiveness. Employers are increasingly looking for staff who understand when to push forward or let others lead, can analyze the politics of the workplace, and respond effectively to difficult managerial and interpersonal situations. These intangible skills are important for career growth and organizational success. Learn how to harness these important skills to gain confidence and long-term professional effectiveness. Educational Technology: The committee worked to explore and assess educational and professional development technologies and resources provided through AALL. From e-forum platforms to conference call and webinar software, the committee provided the TS-SIS board with feedback and advice. While initially Aaron Kuperman and Emerita Cuesta were to have been co-Chair, Emerita had to resign as Chair shortly after the 2010 annual meeting due to her promotion. Plans for utilizing the TS table as a help desk have been made. I’ve also arranged for some Law specific LC training materials to be made available for general use. The Professional Development Committee (whose name was changed from the Ad Hoc Committee for Professional Development this year) was unable to develop a continuing education webinar this past year. There was some interest in using an unaccepted proposal by Rhonda Lawrence concerning preparing for RDA, but, with all of the vagueness about just when it was being made available, this was abandoned. The committee met via conference call in February, and some ideas were discussed, among them having Pamela Bluh give a webinar on digitization, but she was booked up for the rest of the year. A committee member attended a GPPLA presentation on digitization projects and law libraries, but this, too, never got off the ground. All together, a frustrating year for this committee. The TS-SIS Ad Hoc Committee on Professional Development was established in September 2007 by the Executive Board to address the continuing education needs of the membership outside of the American Association of Law Libraries annual meetings. The AALL/BNA Continuing Education Grants Program (CEGP) awarded a $2,000 grant to TS-SIS for the web seminar Redesigning Technical Services: Working in a Hybrid Environment which was held August 14, 2008. Mary K. Dzurinko, Principle of MKDzurinko Associates, and a TS-SIS member was the speaker for the seminar which focused on workflow redesign for libraries transitioning from a print to electronic collection. There were 153 registrants for the program. Recommendations for future seminars that could be accessed at a librarian’s convenience from a desktop, iPhone or other mobile device were discussed. Pam Deemer submitted an excellent idea for expanding on a seminar on managing from the middle which would include segment on social network communications. Another recommendation was to work more closely with the other Special Interest Sections to develop and co-sponsor programs. Based on the membership’s response, the committee drafted a program proposal for a web seminar. Mary K. Dzurinko, Principle of MKDzurinko Associates, and a TS-SIS member agreed to be the speaker for the web seminar. Mary assisted in the development of the program grant proposal which was submitted to the AALL/BNA Continuing Education Grants Program (CEGP). The CEGP awarded a grant of $2,000 for the TS-SIS web seminar Redesigning Technical Services: Working in a Hybrid Environment to be held August 14, 2008. The seminar will focus on workflow redesign for libraries transitioning from a print to electronic collection.